Conservatism has been the rallying cry of Republican’s for a long time. But, the ideology behind it has always shifted to meet the demands of the moment. There have always been certain cornerstone principles that remain unchanged. But much of the definition is less certain. In its simplest sense, Conservatism is a desire to hang on to tradition. In America, Conservatives hang on the perceived ideals of the founding fathers. The Constitution is the heart of the belief system. And the amendments govern their ideals. But, the application of Conservatism has proven to be not so black and white. Every election cycle, candidates fight to see who can be the most conservative. Conventional wisdom says using terms like liberty and freedom show your conservatism. Yet, as time passes and the debates heat up it becomes difficult to know what the term stands for. Reviewing the Conservative ideal since the 1930s reveals a consistent shift. It is more pronounced today than ever before. Political talk shows espouse the virtues of Reagan’s conservative position. But time and cultural climate will never allow us to go back to that ideal. 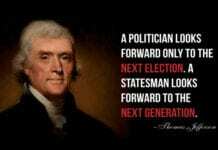 A desire to preserve the political philosophy and rules of government articulated in the Declaration of Independence and the U.S. Constitution. A belief that it is imperative to preserve traditional morality, as it is articulated in the Bible, using cultural norms and the power of the state. An embrace of free-market capitalism, and a belief in the legitimacy of market outcomes. A belief that America is an exceptional nation, a shining city on a hill, whose rightful role as leader of the free world. An embrace of localism, community and family ties, human scale, and a responsibility to the future. Affinity for, identification with, or embrace of Red America’s various cultural cues. Disdain for American liberalism, multiculturalism, identity politics, affirmative action, welfare, European-style social policies, and the left and its ideas generally. A desire to be left alone by government, often coupled with a belief that being left alone is a natural right. The belief that taxes should be lower and government smaller. The belief that the national debt and deficits put America in peril. The belief that whenever possible, government budgets should be balanced. All those tenets seem reasonable and to reflect the ideas behind the founding fathers’ intentions. With that in mind, the next question to ask is if/how has conservatism strayed from the original idea? Also, one could ask how does one tell where one falls on the conservative spectrum? In 1936, Senator Josiah Bailey penned the “Conservative Manifesto”. It was a response to President Roosevelt’s New Deal. The proclamation contained ten points and was not intended as a rebuke to the President. Rather it was intended to “create a broad foundation for conservatives to stand upon in dealing with New Deal proposals…”. Yet, the manifesto became a rallying point for conservatives and played a role in undoing much of the New Deal. The ’70s gave rise to a new group of conservatives called the Neoconservatives. Their shift in philosophy came in the form of increased attention to foreign policy. This shift called for America to flex its muscle in helping police the world. The best example of this came from Ronald Reagan going after the Soviet Union in a direct, confrontational style. Neoconservatives, push for a stronger military and ending state-supported terrorism. In the late ’70s, the third branch of conservatism arose called the New Right. This ideology came from the unlikely partnership of Christian and conservative business leaders. The New Right made their shift on the basis of moral issues. The ’70s were a time of great moral change in America. Roe v. Wade, Gay rights and the Civil Rights movements all played a role in the New Right movement. The New Right saw the expansion of government as an infringement on the individual. They felt justified in working to reduce its role. The New Right blurred the lines between religion and politics. It sought to move the country towards a traditional moral center. The Libertarian and Tea Party movements also sought to move the country. Their similar ideologies come from basic economic principles. Libertarians focus on individual autonomy, supported by sound fiscal practices. While the Tea Party focused on reducing the national debt, the federal budget and decreased government spending. Conservatism in its various forms has helped shape the country and the world. 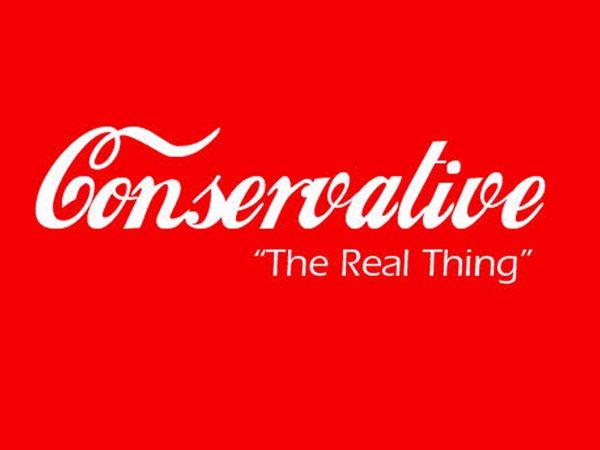 Conservatives have fought against Liberal agendas through good times and bad. Each approach has had different levels of success along the way. But, none of them have prepared the country for the pressures it now faces. Since the election of Barack Obama in 2008, the county has seen a move to the left. While not always reflected in the polls, events of the last few years show the move. A 2018 report by the Pew Research Center reveals the shifting demographics in American Politics. 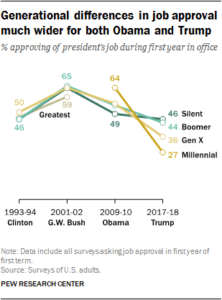 Per the report, the political divide between the generations has never been greater. It is well known the millennials tend to be more liberal in their views. It is also well known that older generations tend to be more conservative. The issue with this divide is that the politically older generations are dying off. This has allowed the younger generations to begin embracing things once thought impossible. Bernie Sanders push for Socialism during the 2016 Presidential campaign had an impact. Representatives like Alexandria Ocasio-Cortez, D-N.Y., and Rashida Tlaib, D-Mich. have joined Sanders in promoting a Socialist agenda for the country. This agenda has found a home with the Millenial generation. The movement is growing through their community activism and events. The push towards socialism will force a shift in conservatism. Candidates will shift to remain relevant and attract new votes. The cornerstones of the Conservative ideology are still true. Yet, younger voters consider them outdated and unfair. To attract these new voters, eager politicians may have to make compromises to the Conservative ideal. They may need to re-shape and re-label themselves to appear relevant to the younger crowd. At the same time, they will appear to hold up traditional values for the older generations. These two approaches are not mutually exclusive. The challenge then becomes trying to understand which position is the real one. However, there is no easy answer to the question. Realistically, to find the candidate’s/official’s position one must go through issues/bills one by one do discover the pattern. Only then can one understand the candidate’s/officials’ true beliefs. Contrary to media reports, conservatism in America isn’t dying. But it is changing. It is more important than ever to find good people, willing to stand for the conservative traditional values. They are out there, but it will take an educated public to be able to find them and put them in office. 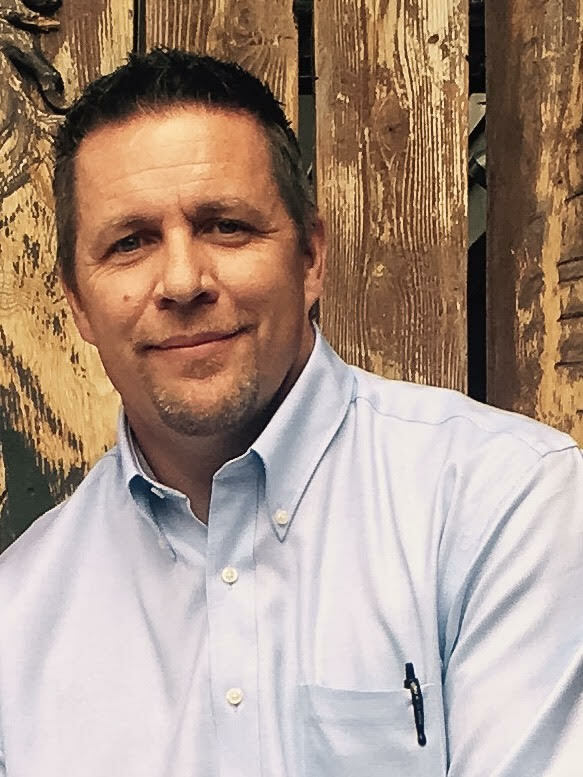 Jeff Hough is an Author, Speaker and Digital Marketer who has been studying leadership, personal development and marketing for the past 20 years. He currently writes a weekly newspaper column that is carried in five newspapers and teaches leadership development workshops. Additionally, he consults with businesses on building and maintaining their digital presence.